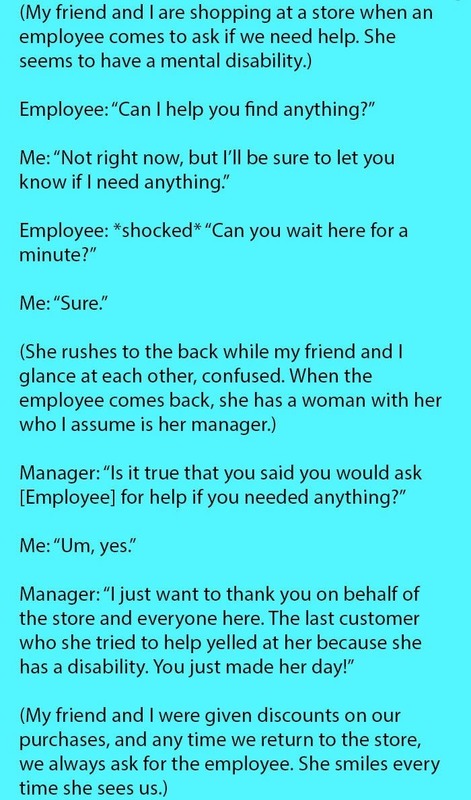 Two women were shopping at a store when a mentally disabled employee asked them if she could help. But never thought this would happen next. What did you think of this? Share this story by clicking the button below!